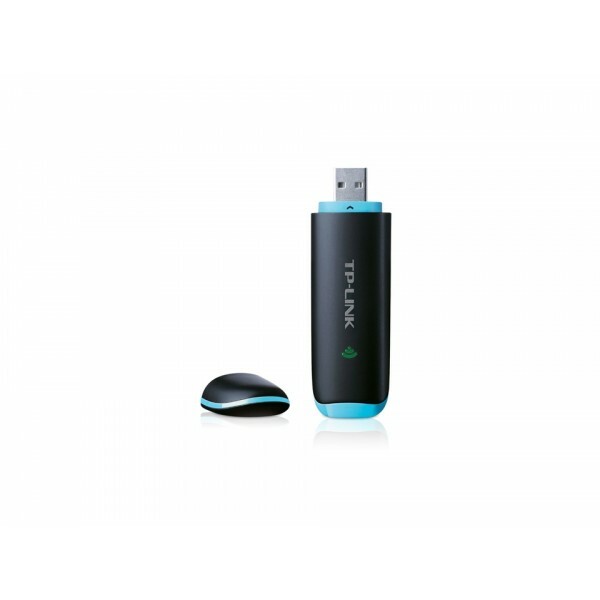 TP-LINK’s 3G HSPA+ USB Adapter, MA260 allows users to acquire 3G mobile broadband access simply by inserting a standard SIM card into the adapter and plugging it into their laptop or desktop computers. 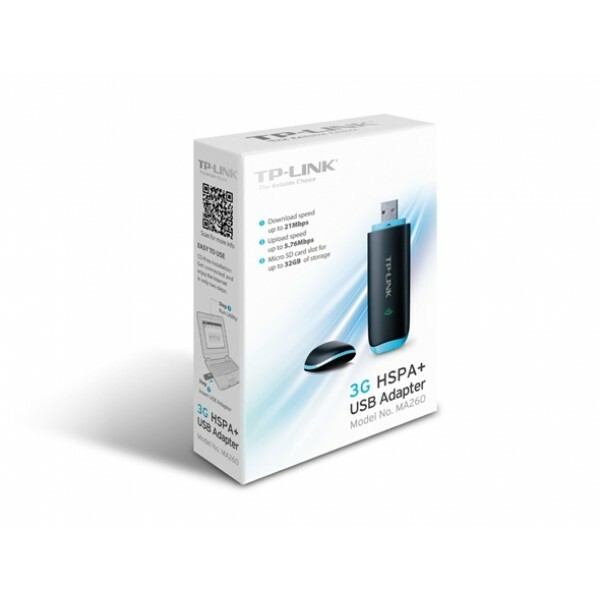 It supports the latest 3G HSPA+ technology, which provides improved data transfer rates. 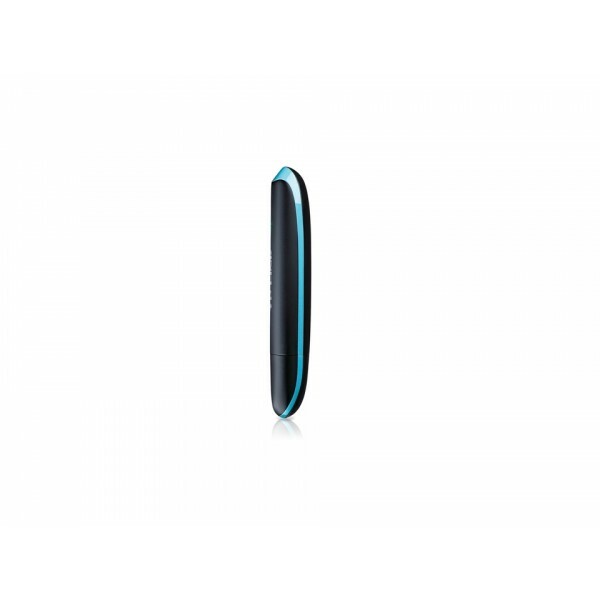 Equipped with its internal antenna, micro SD card slot and SIM card slot, the MA260 is a great choice for users to connect to the Internet in locations that are unable to receive conventional broadband. You can enjoy quick and easy access to email, the Internet or business applications on your laptop while on the go. With Up to 21Mbps download and 5.76Mbps upload speeds, the MA260 gives users a fluid Internet surfing experience. The device’s high upload speed allows users to quickly send large files, such as e-mail with attachments, photos or business documents. MA260 is equipped with a micro SD card slot that’s compatible with SD Cards with capacity up to 32GB allowing users to use MA260 as a 3G USB modem and a USB memory stick at the same time. Using the MA260’s bundled utility, users can get connected and enjoy the Internet in as little as two steps.